Today's buyers have more access to information than ever before. Reviews of a company's products or services are only clicks away and this shift in information parity has forever changed buying patterns. The traditional tactics of Marketing and Sales no longer apply and inbound marketing and inbound sales now stand in their place. Businesses must spend less and less time on mass promotion and templatized collateral and instead focus on educating and supporting today's empowered buyers through their journey from anonymous stranger, to delighted customer. Sound Complicated? Don't Go it Alone. Inbound marketing is equal parts art and science. To effectively balance these elements requires experience, expertise, and excellence - that's where we come in. At the center of your business's universe is your customer. 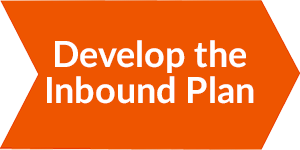 We develop the inbound strategy and plan that will deliver results by conducting interviews, performing market research, and building out your buyer personas. - Get to know the needs of your customers. - Research what's working for competitors. - Establish your buyer personas. With a foundational plan in place, it's time to deploy the marketing technologies and initial content production efforts that will enable us to launch our first campaign and set ourselves up for repeatable and scalable success. - Determine the right software for you. - Configure said software to your context. 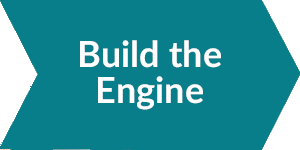 - Lay out the immediate content roadmap. Launching your first inbound campaign is a big moment! But going live is just the beginning. Once the champagne runs dry we quickly turn to analyzing, learning, and optimizing our marketing to deliver the best results. 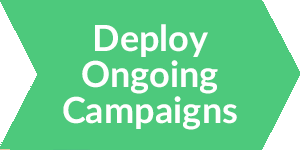 - Get your campaigns on the road. - Analyze what's working and what isn't. - Optimize everything we put in place.